Are your top-of-rack network switches protected from overheating? Often times we find network switches, load balancers and routers placed at the top and back portion of the rack. This placement makes it difficult for proper rack airflow management. In order to prevent possible failure, cold air needs to travel from the front of the rack to the air intakes of the network switch equipment. Prevent failures by keeping network switches cool with the Vertiv Geist SwitchAir. 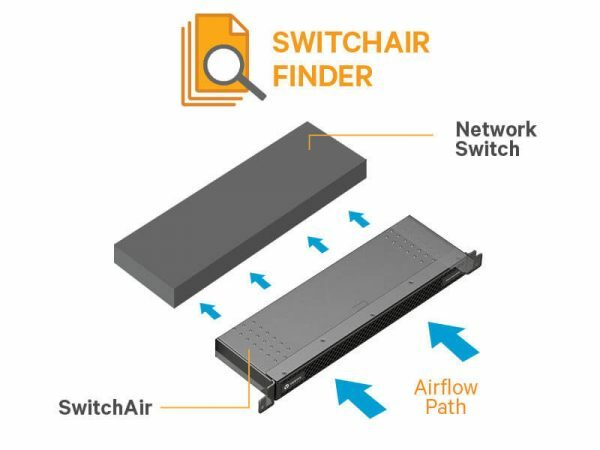 SwitchAir provides a path for cool air to travel to the intake of network switch equipment and other devices with rear (non-port side), front (port side), single or dual side intakes. It also creates a barrier to effectively prevent hot exhaust air from recirculating to device intakes. SwitchAir is simple and quick to install in all standard racks or cabinets. Learn about the difference between passive and active SwitchAir units, simply click here. Click on the SwitchAir Finder picture find the right unit for your application. For further information call (586) 783-3400 or email support@jemtechgroup.com.